Richard Bruton rules out any immediate adjustments to the minimum wage rate despite recent comments from Cabinet colleague Joan Burton. JOBS AND ENTERPRISE Minister Richard Bruton has ruled out any immediate prospect of the national minimum wage of €8.65 being raised despite recent comments from his Cabinet colleague Joan Burton. Burton, the Social Protection Minister, recently called for an eventual increase in the minimum wage in the lifetime of this government as, she claimed, the State is effectively subdisiding low-wage employers by paying certain benefits to low-paid workers. The suggestion by the Labour minister was met with scorn by employers groups with the representative body for small businesses saying that Burton should be “put back in her box”. Answering a parliamentary question this week, Bruton, a Fine Gael minister, said that he had no plans for any further adjustments to the national minimum wage. He pointed out that the government has already increased it by €1 having reversed the previous administration’s cut to €7.65 in July 2011 a few months after it came into office. “The restoration of the National Minimum Wage to €8.65 per hour represents a significant commitment by the Government to protect the lowest paid and most vulnerable workers,” Bruton said. Email “Richard Bruton: I'm not going to raise the minimum wage ”. 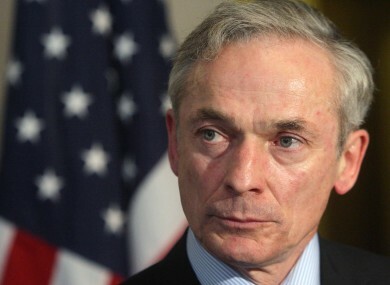 Feedback on “Richard Bruton: I'm not going to raise the minimum wage ”.